In following the theme of the day, here is a super quick easy recipe that is great for any weekday meal. It’s a perfect pairing for steak, chicken, fish, or just it’s own. You could also add these to a salad for a little different flavor profile. Toss them in a bowl with olive oil, salt, and pepper. Feel free to add any other seasonings you like. You will see what I used in my photos, but the options are endless. Transfer to a sheet pan in 1 layer and roast in the oven for 20-25 minutes, until browned and tender. This is your ingredient list. Simple as that. 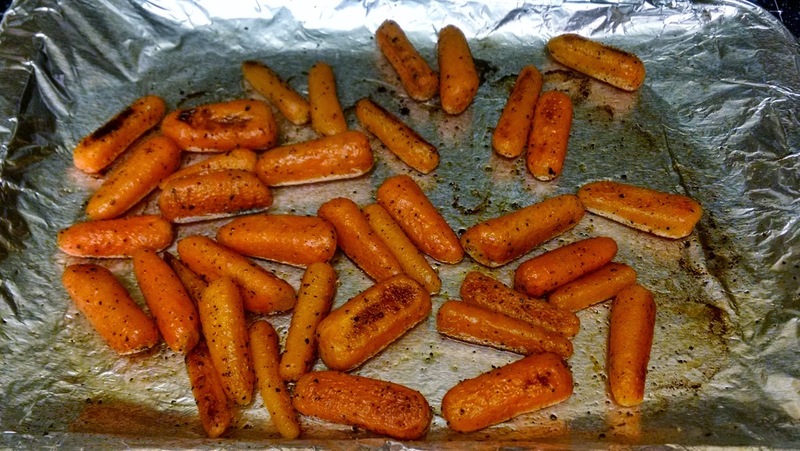 Seasoned and prepped carrots. Ready for their “hot” date in the oven! 20-25 minutes later this is what you end up with. You will know they are ready when you can easily pierce them with a fork. Ready for a awesome twist? 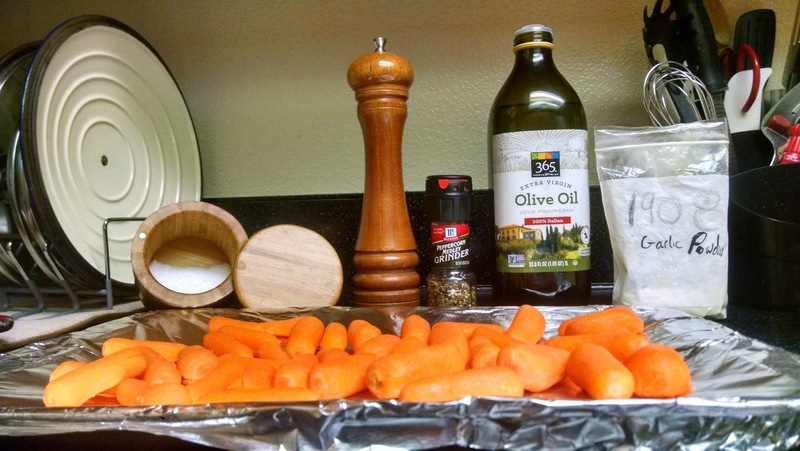 While the carrots are cooking, combine 1 tbsp of balsamic vinegar and 2 tbsp of honey together. 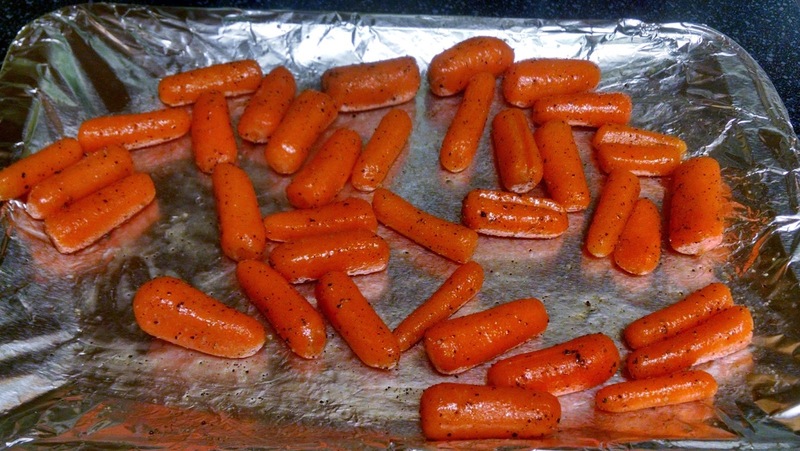 With about 5 minutes left, toss the carrots in that glaze and let them finish cooking in the oven. These are amazing! We did this before at a family party and it was a huge success! So much so that everyone wanted the recipe. 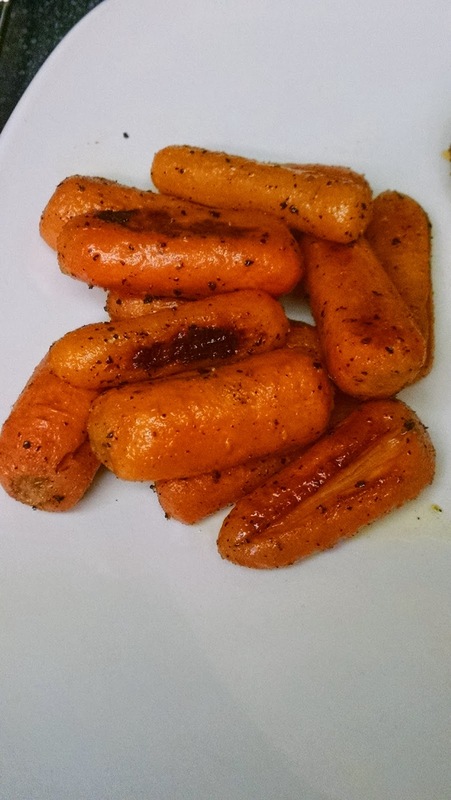 Just don’t look away or get distracted topping off your glass, the carrots can burn super quick. Take that, Weekday Meal Monster!